So Amazon is kind of a catch-22. In many ways, it’s bad for the planet : More boxes, more footprints, more “stuff”! But Amazon is also great in that it provides everyday access to natural and healthy products … So being an Amazon Prime + health/beauty junkie, I naturally have some recommendations & favorites. Here’s my picks for the Top Ten Natural Beauty Products on Amazon. From teeth to toes! My HG (holy grail) concealer! This concealer is the only one I have found that doesn’t break me out, but still conceals. I think it’s because the ingredients are relatively minimal and it’s well formulated (some natural concealers seem handmade and chalky). Whatever it is ~ my sensitive skin loves this concealer. I use color C7 (I’m light-medium/olive skin toned FYI). For those who need more moisture & tend not to break out, I’ve heard great things about the allegedly low-histamine concealer from RMS. I LOVE the way this shampoo and conditioner does the job. It feels “clean” without leaving a residue, moisturizers my hair, but also doesn’t break me out! Again, my skin is so sensitive that I even have to be cautious of shampoos and condidionters. It’s gives my naturally light brown hair a little golden shine because of the henna and keratin + it’s non-toxic, paraben, sulfate & cruelty-free and good for color-treated hair. Love it! This is my all-time favorite mascara. It leaves your lashes plump, full and simply gorgeous! My second favorite being the fruit-pigmented mascara from 100% Pure in “black tea”. PS: If you find you’re one of these people that gets a headache or feels you lashes getting “heavy” from mascara, it’s most likely a reaction to the straight-up chemicals put in standard mascara. Anything that close to your eyeballs/brain shouldn’t be toxic. This charcoal/salicylic acid cleanser has substantially cleared my skin! The biodegradable jojoba beads + charcoal + salicylic acid + chamomile just does it for me. BUT I sooooo wish they would make this fragrance-free. I never understand why companies add fragrance . I guess some people like fragranced skin care. I can’t stand it and it normally makes me run for the hills. However, this really works well and quickly so I can deal with the scent factor. It really does feel pampering! It normally takes a lot for my mind to slow down at night. The beeswax candles have to be lit, the door has to be ever so closed, yet open….seriously I could go on with many other subtleties. But this lotion gets me to stop. It’s so heavenly, so luxurious + it works (very moisturizing for cracked heels) and it’s non-toxic. Can’t be beat! So as a recovering Makeupalley/Sephora beauty junkie, I’ve learned that less is more effective. And this couldn’t be more true when it comes to moisturizers and serums. Both of these organic oils are hard workers that don’t complicate your life. Rose hip seed oil is particularly amazing for healing/reversing scars and is essentially a natural form of retinol (vitamin a). Tamanu oil is incredibly healing as well and provides a certain glow to the skin. They are both suitable for acne-prone/combo skin, somewhat like jojoba oil, but with a bit more healing properties. I love this particular brand of polish. It’s like “butta” ~ sophisticated and yet I don’t have to continually freak out about the toxicity (most nail lpolish is SOOOO toxic as Dr. Mercola discusses here). Their “nail tinted moisturizer” is also amazing as it is both moisturizing for nails + comes in a wide range of sheer tint color options. Sidenote: I also love this particular shade of red polish from 100% Pure. This is the only self-tanner I could find that was effective, yet non toxic. It’s made from non-gmo, sugar-extracted DHA (the stuff that gives you a tan) + the color isn’t too intense. If you want more color, you simply apply more product. Some people dislike the spray bottle (it’ a standard spray bottle, not aerosol ), but it doesn’t bother me one bit! The other ingredients are quite impressive too (i.e. : bio-extracted wild crafted frankincense). Yes and yes! 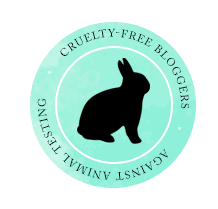 These cult favorites are cruelty-free, non-toxic & made in the USA. If you drink coffee throughout the day, give these teeth brightening pens a whirl while you’re on the go! That being said, the main ingredient bleaching your teeth is food-grade hydrogen peroxide, so you might also want to check out the organic, hydrogen peroxide-based mouthwash from Essential Oxygen. I hope you enjoyed this beauty roundup! It was hard not to mention ALL the products I love. So I’ll sneak one more in … It’s called “UN-petroleum jelly” from Alba Botanica. Think Vaseline without toxicity! It’s amazing to put on feet/cracked heels with a pair of socks before bed. PS: Want to not destroy the world with Amazon Prime? Limit yourself to biweekly or monthly purchases. Even weekly if you are an everyday Primer. Also, choose the option to ship in as few boxes as possible and recycle your boxes. And remember to shop under the “Amazon Smile” URL which gives to charities like St. Jude’s Children’s Hospital. (Bookmark it folks: https://smile.amazon.com). Comments to "My Favorite Top Ten Natural Beauty Products on Amazon! From teeth to toes!"